From left: Northwestern football head coach Pat Fitzgerald, NU Athletic Director Jim Phillips, Chicago Cubs owner Tom Ricketts, Cubs President of Business Operations Crane Kenney and NU lacrosse head coach Kelly Amonte Hiller. NU and the Cubs announced a five-year partnership Tuesday that will open up Wrigley Field for select games for NU's 19 varsity teams. Northwestern and the Chicago Cubs announced on Tuesday a five-year partnership, linking the athletic and marketing arm­s of NU and the Cubs through 2017. The deal creates cross-promotional opportunities for each organization, and NU will be using Wrigley Field for multiple sporting events, including five future football games. Notable personalities from both organizations were on hand for the announcement. Athletic director Jim Phillips, football coach Pat Fitzgerald, baseball coach Paul Stevens and lacrosse coach Kelly Amonte-Hiller represented the NU side, while owner Tom Ricketts and president of baseball operations Theo Epstein were among those on-hand for the Cubs. Phillips’ relationship with Cubs officials helped create the partnership, with Ricketts referring to the athletic director as “a neighbor and a buddy” and someone he enjoys working with. Timing of the football games will depend on reconstruction of Wrigley Field and future Big Ten scheduling. The Cubs are currently dealing with the city on a $300 million renovation plan to upgrade the historic stadium. 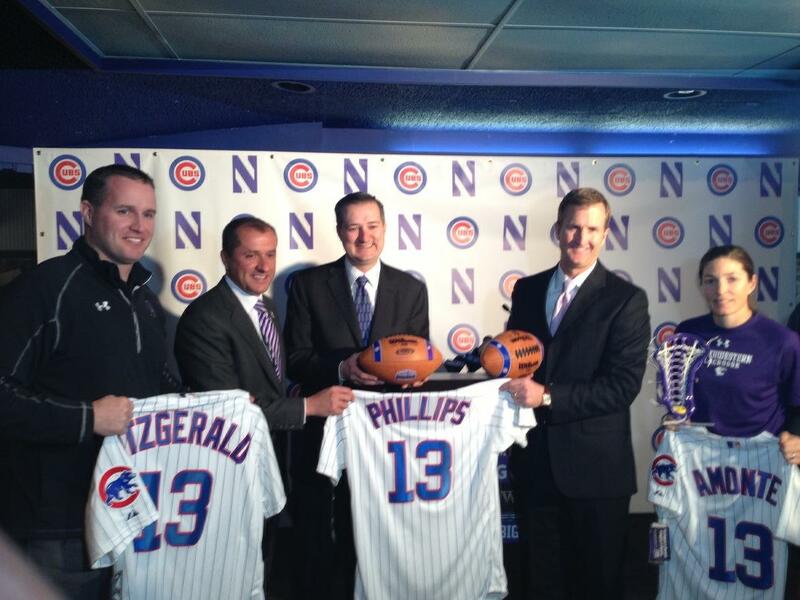 The five-year contract will be extended to ensure the Wildcats play at least five football games at Wrigley. Women’s lacrosse and baseball will also see time on the North Side field. The first announced event is a Big Ten baseball game, the April 20 matchup between NU and Michigan. A lacrosse game is also in the works, but a final date has not been confirmed. NU will host rival Notre Dame in the Friendly Confines. The deal, announced Tuesday at a news conference at Wrigley Field, emerged from the partnership first formed when the Cats played a football game at Wrigley in 2010. The new deal “started with friendships” and emerged from “a handshake and a ‘thank you,’” according to Crane Kenney, the Cubs president of business operations. Both Phillips and Ricketts expressed hope the Wrigley Field renovations would start by the end of the 2013 baseball season. Ricketts also said the deal could help move things along by providing the city another incentive to renovate Wrigley. The Ricketts family has been attempting to upgrade the 99-year-old stadium since 2009 but has been unable to secure proper financing for the $300 million project. Momentum for the renovations picked up when the club’s owners proposed a plan that would not use public money, instead employing revenue generated from new signs, night games and concerts. However, a deal between the city and the Cubs has been delayed by rooftop owners around Wrigley Field. The owners struck a 20-year deal with the team that runs through 2023 and are worried that signs will hurt the rooftop viewing experience on buildings surrounding the stadium. Also complicating matters is the community’s aversion to adding more night games and concerts, which can create disturbances in the neighborhood. Any delays to Wrigley’s renovation would extend the NU partnership to accomodate all five football games. The deal also includes marketing opportunities for each side. Northwestern will have signage and advertisements at Wrigley Field, and the Cubs will be featured on the Evanston campus. Student athletes will also have opportunities to work as interns in the Cubs front office. The Cubs declined to disclose the financial details of the partnership but seem hopeful the deal can improve the team’s relationship with the city. The deal is an extension of NU’s marketing push as “Chicago’s Big Ten Team,” which began in July 2010. NU’s last game at Wrigley was marred by only one endzone being playable, something Kenney — referring to the incident as “the exception” — ensured would not happen again. The partnership grew out of Phillips’ insistence on growing the NU brand. He referenced the school’s relatively small stature in the Big Ten as the lone private school with the smallest undergraduate enrollment but also pointed out that NU’s Chicagoland fan base grew 49 percent in the last three years, according to market research commissioned by the school. On the athletics side, the announcement comes during a stretch of success for NU. The football program won its first bowl game in 64 years to start the year, and $70 million has already been raised for new on-campus athletic facilities. The residual effect of partnering with an organization nationally recognized as much as the Cubs could also trickle into recruiting. Ultimately, NU students should be the ones who benefit, with major events guaranteed to take place in one of the country’s most iconic sports venues. 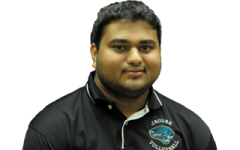 This story has been updated with additional information from Tuesday’s news conference.